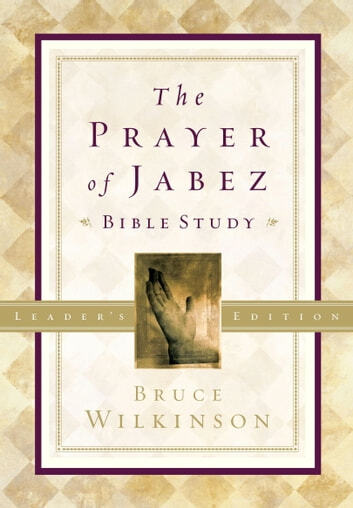 Readers of Dr. Bruce Wilkinson's powerful bestseller, The Prayer of Jabez, learned how an audacious, four-part prayer could release God's miraculous power in their lives. 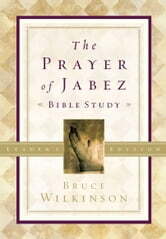 Now The Prayer of Jabez Bible Study, Leader's Edition, reveals how to make praying the Jabez prayer a lifetime habit. Leaders will broaden their understanding of the four components of the Jabez prayer ("bless me; enlarge my borders; keep Your hand upon me; keep me from evil"). Graphics and lighthearted illustrations make this innovative, four-week study impactful and fun. The eighty-page Leader's Edition offers two additional, optional sessions and resources for group leadership.